N 20° 58' 31" and W -156° 40' 41"
Napili-Honokowai in Maui County (Hawaii) with it's 7,261 inhabitants is a city in United States about 4,780 mi (or 7,692 km) west of Washington DC, the country's capital. Local time in Napili-Honokowai is now 01:36 PM (Thursday). 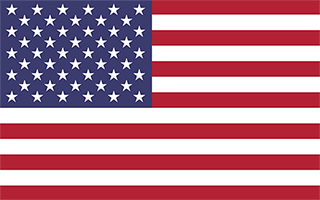 The local timezone is named Pacific / Honolulu with an UTC offset of -10 hours. We know of 6 airports in the vicinity of Napili-Honokowai, of which one is a larger airport. The closest airport in United States is Kapalua Airport in a distance of 1 mi (or 1 km), South. Besides the airports, there are other travel options available (check left side). Rooms as low as $139 a night include full kitchen, maid service, king bed, air conditioning, and sleeps up to 4 people. 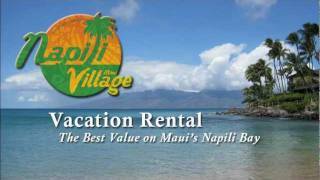 http://www.NapiliVillage.com. 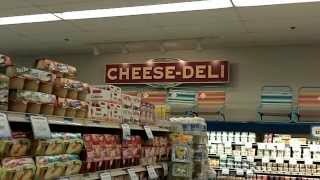 My walk through the aisles of Napili Market. 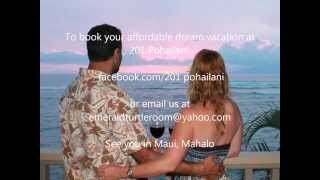 Address: 5095 Napilihau St, Lahaina, HI 96761 Phone:(808) 669-1600 Hours: 6:00 am -- 11:00 pm. An overview of Maui's Napili Bay Please see our iPhone Application "Virtual Maui Guide" in the iTunes Store. 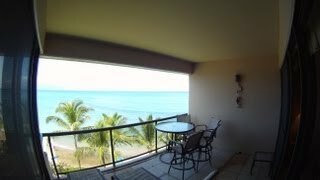 Affordable Oceanfront Maui Vacation Rental; 201 Pohailani, The Emerald Turtle Room. Hawaii. 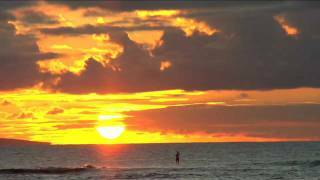 Maui County, officially County of Maui, is a county located in the U.S. state of Hawaii. It consists of the islands of Maui, Lānai, Molokai (except for a portion of Molokai that comprises Kalawao County), Kahoolawe, and Molokini. The latter two islands are uninhabited. As of the 2010 Census the population was 154,834. The county seat is Wailuku. The Kahului–Wailuku Micropolitan Statistical Area includes all of Maui County. Located at 20.8833, -156.65 (Lat. / Lng. ), about 7 miles away. Kāʻanapali is a census-designated place (CDP) in Maui County, Hawaiʻi, United States. The population was 1,045 at the 2010 census. 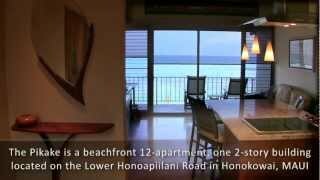 The master-planned town is located in the Old Hawaii ahupuaa of Hanakao`o, as in the same name of the southern end of Kaanapali Beach's Hanakao`o Canoe Beach. Located at 20.9347, -156.679 (Lat. / Lng. ), about 3 miles away. Kapalua is a census-designated place (CDP) in Maui County, Hawaiʻi, United States. A resort development by the Maui Land & Pineapple Company extends inland from Kapalua Bay and Honolua Bay. The population was 353 at the 2010 census. Located at 20.9967, -156.653 (Lat. / Lng. ), about 2 miles away. 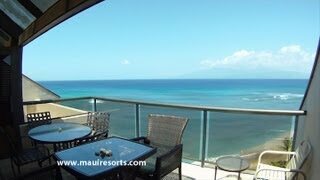 Lāhainā is the largest census-designated place (CDP) in West Maui, Maui County, Hawaii, United States, and the gateway to the famous Kaanapali and Kapalua beach resorts north of the community. As of the 2010 census, the CDP had a resident population of 11,704. Lahaina encompasses the coast along Hawaii Route 30 from a tunnel at the south end, through Olawalu up to the CDP of Napili-Honokowai to the north. During the heavy tourist seasons, the population can swell to nearly 40,000 people. Located at 20.8861, -156.675 (Lat. / Lng. ), about 6 miles away. Nāpili-Honokōwai is a census-designated place (CDP) in Maui County, Hawaiʻi, United States. The population was 7,261 at the 2010 census. Located at 20.9669, -156.671 (Lat. / Lng. ), about 1 miles away. Located at 20.8528, -156.51 (Lat. / Lng. ), about 14 miles away. Maria Lanakila Catholic Church is a parish of the Roman Catholic Church of Hawaii in the United States. Located in Lahaina on the island of Maui, the church falls under the jurisdiction of the Diocese of Honolulu and its bishop. The parish has a mission in Kapalua under the title of the Sacred Hearts of Jesus and Mary. Maria Lanakila means "Victorious Mary", the Hawaiian language equivalent to the English language epithet "Our Lady of Victory", which refers to the Blessed Virgin Mary. Located at 20.8753, -156.677 (Lat. / Lng. ), about 7 miles away. The Lahaina Civic Center is a sports, convention and entertainment complex located at Kaaahi St & Honoapiilani Hwy in Lahaina, Hawaii, on the island of Maui. The zip code is 96761. It is the site of the annual Maui Invitational Tournament, held every November during Thanksgiving week and hosted by Chaminade University. Other events held at the Civic Center throughout the year include the World Youth Basketball Tournament in July, numerous concerts, trade shows, community festivals and fairs. Located at 20.905, -156.684 (Lat. / Lng. ), about 5 miles away. Located at 20.8808, -156.545 (Lat. / Lng. ), about 11 miles away. Lahainaluna High School is a grade 9-12 school located in Lahaina (on the island of Maui), Hawaii. It was founded in 1831 as a Protestant missionary school, originally named Lahainaluna Seminary. The early missionaries who arrived in Lahaina in 1823 explained to the Hawaiian Royalty the importance of an educational institution. A number of the pioneers are buried in a small grave yard. It was the first school founded in Hawaii and has remained in operation since. Located at 20.8886, -156.659 (Lat. / Lng. ), about 6 miles away. Located at 20.9878, -156.668 (Lat. / Lng. ), about 1 miles away. Lahaina Roads, also called the Lahaina Roadstead is a channel of the Pacific Ocean in the Hawaiian Islands. The surrounding islands of Maui, and Lānaʻi (and to a lesser extent, Molokai and Kahoolawe) make it a sheltered anchorage. Through the 1940s, Lahaina Roads was as an alternative anchorage to Pearl Harbor. While planning for the attack on the U.S. Located at 20.8667, -156.733 (Lat. / Lng. ), about 8 miles away. Located at 20.8834, -156.535 (Lat. / Lng. ), about 11 miles away. Honolua Bay, Mokuleʻia Bay and Lipoa Point are part of an area known as the ahupua'a of Honolua, located just north of Kapalua, West Maui in Maui County, Hawaiʻi, United States. The area is a mix of agricultural and conservation land tended by the Maui Land & Pineapple Company in Lahaina, Hawaiʻi, including coastline management. Honolua Bay and Mokuleʻia Bay comprise the 45-acre Honolua-Mokuleʻia Marine Life Conservation District. Kahakuloa is an area on the North side of West Maui, Hawaii. It is home to the isolated picturesque community of Kahakuloa Village, Julia's Banana Bread, Kaukini Gallery, Bruce Turnbull Studio and Sculpture Garden, and a few small businesses. It is accessible via Kahekili Highway (State Highway 30). Panoramic view of Kahakuloa Village and Bay. EnlargePanoramic view of Kahakuloa Village and Bay. Located at 20.9997, -156.554 (Lat. / Lng. ), about 8 miles away. Olowalu is a community on the west side of the island of Maui in the state of Hawaii. It is located about 4 miles south of Lahaina on the Honoapiʻilani Highway. It sustained a large population, governed by the high chieftess Kalola, daughter of Maui ruler Kekaulike, and grandmother of Keopuolani. It was home to a traditional farming community until the arrival of the Europeans, who replaced it with a sugarcane plantation. Located at 20.8108, -156.622 (Lat. / Lng. ), about 12 miles away. Located at 21.0038, -156.641 (Lat. / Lng. ), about 3 miles away. Dwight Baldwin (1798–1886) was an American Christian missionary and physician on Maui, one of the Hawaiian Islands, during the Kingdom of Hawaii. He was patriarch of a family that founded some of the largest businesses in the islands. Located at 20.8731, -156.678 (Lat. / Lng. ), about 7 miles away. Waiola Church is the site of a historic mission established in 1823 on the island of Maui in Hawaii. Originally called Waineʻe Church till 1953, the cemetery is the final resting place for early members of the royal family of the Kingdom of Hawaii. Located at 20.8692, -156.673 (Lat. / Lng. ), about 7 miles away. Kaanapali Airport was a small regional airport located on the northwest end of Maui, near the city of Lahaina and north of Kaanapali Beach in Honokōwai. The airport serviced West Maui between 1965 and its closure in 1986. Located at 20.9433, -156.69 (Lat. / Lng. ), about 2 miles away. Harvey Rexford Hitchcock (March 13, 1800 – August 25, 1855) was an early Protestant missionary to the Kingdom of Hawaii from the United States. With his three sons, he and his wife started a family that would influence Hawaii's history. He had at least three namesakes in the subsequent generations. Located at 21.0672, -156.82 (Lat. / Lng. ), about 11 miles away. Lahaina Banyan Court Park is a public park located at the corner of Front Street and Canal Street in the town of Lahaina, Hawaii, which was the capital of the Kingdom of Hawaii from 1820 to 1845. The 1.94 acres park, also known as Lahaina Courthouse Square and commonly called Banyan Tree Park, contains multiple heritage sites on the Lahaina Historic Trail, and a self-guided walking tour through the Lahaina Historic Districts. Located at 20.8717, -156.678 (Lat. / Lng. ), about 7 miles away. These are some bigger and more relevant cities in the wider vivinity of Napili-Honokowai.